There are so many slave bracelets on our web, do you like them? 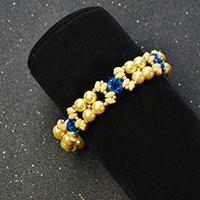 Here I will share a golden chain bracelet to you. 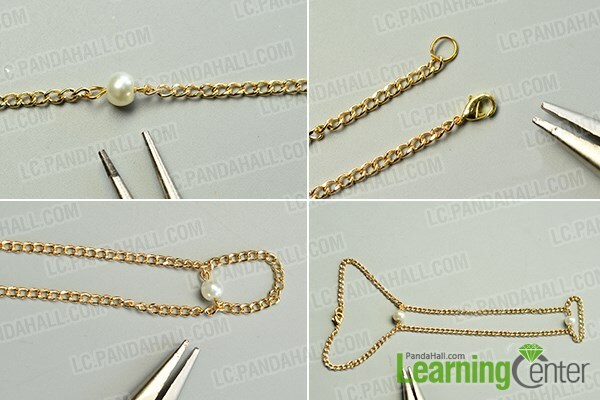 This golden chain bracelet is made with chain and pearls, and it is quite easy for a green hand to try. Wanna make one? 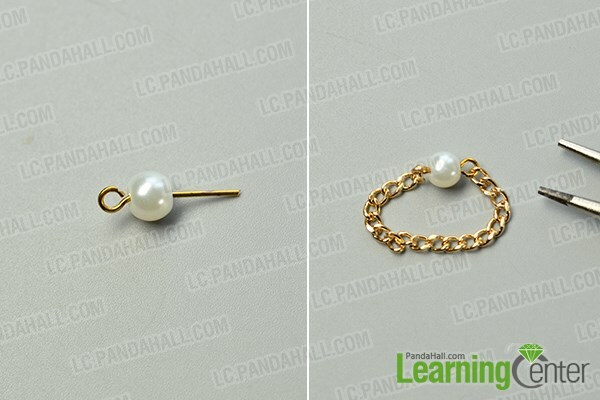 2nd, snick off a short piece of twisted chain and add the pearl bead pattern with it together as pictured. 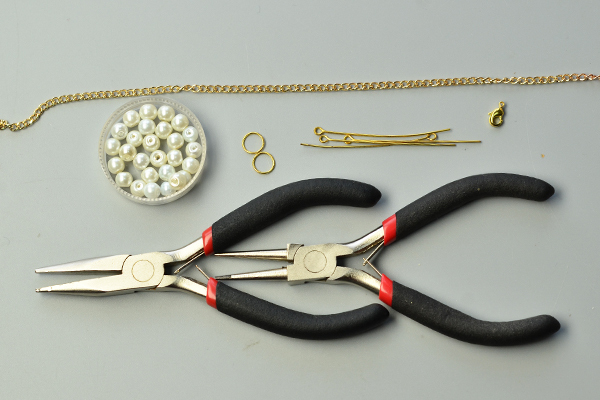 4th, cut other 2 pieces of golden chain and attach them to 2 ends of the pearl bead patterns as pictured. 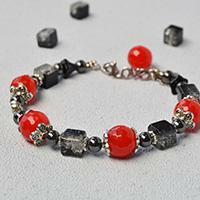 Here is the final look of the slave chain bracelet. Where can get the beads and martial? I cant get over how simple and easy this is to make. i hope mine turns out to look as good as this one does. love it. so cute..